The U.S. Department of Housing and Urban Development provides housing grants to low-income families. These grants help families pay for rent, purchase or even rehabilitate a home. HUD also allocates grant funds to local governments and nonprofit agencies so they can develop their own affordable housing program in their communities. HUD-approved counseling agencies are available in every state to help you find a housing grant in an area near you. HUD has two rental assistance programs that help make the rent more affordable for low-income families. The Public Housing Program provides a rental subsidy for families that live in a federally assisted housing unit. As long as the family resides in the unit and maintains its eligibility, it is allowed to pay no more than 30 percent of its income toward rent. The total household income cannot exceed 80 percent of the area median income to qualify for a subsidized unit. The Section 8 Housing Choice Voucher Program also provides a rental subsidy to low-income families, however, the family is given the freedom to live in any housing unit of their choice. The family's income cannot exceed 50 percent of the area median income, and it is allowed to pay 30 percent of its income toward rent. The Homeownership Voucher Program helps Section 8 voucher recipients convert their rental assistance into a mortgage subsidy. The applicant must be a first time homebuyer and have a consistent source of income that does not include welfare benefits. The applicant must also be able to qualify for a loan with a home loan officer. Once the home is purchased, the homeowner pays 30 percent of his income toward the mortgage payment, and HUD pays the remaining portion. To participate in the program, the homebuyer is required to attend homeownership counseling. HUD provides rental subsidy grants to property owners that restrict their properties to homeless individuals. 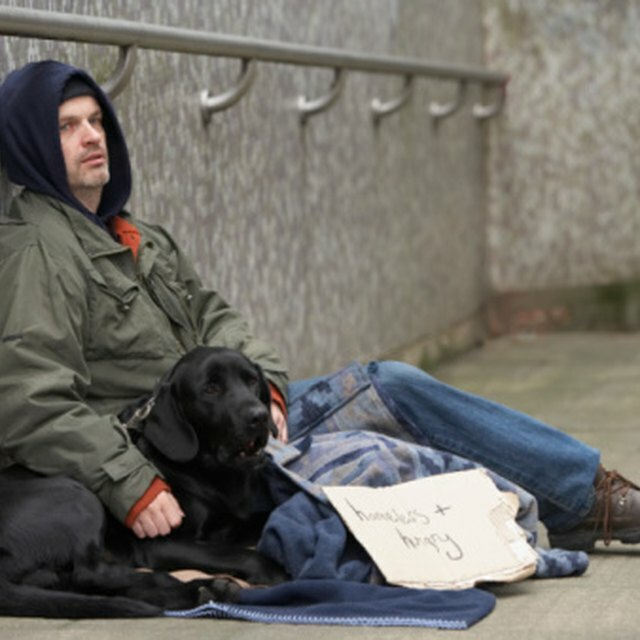 The Single Room Occupancy program allows homeless individuals to pay 30 percent of their income toward rent. An SRO is a housing unit with a kitchen, or a bathroom or both. The property owner must make $3,000 in repairs to the unit to participate in the program. HUD also provides Section 8 vouchers to the Department of Veteran Affairs to house homeless veterans. The veteran must lack an adequate nighttime residence to obtain a voucher. He must also agree to participate in case management services to ensure he can maintain his residential stability. What Is the HUD Housing Program? HUD provides grants to local governments and nonprofit agencies committed to developing affordable housing for low-income households. HOME program funds can be used to develop a rental assistance program, help to rehabilitate a home or finance the purchase of a home. HUD's Neighborhood Stabilization Program provides funding to purchase abandoned or foreclosed homes. The home is rehabilitated and sold at an affordable price. HUD also provides money to non-profit agencies to help low-income families build their own home. The Self-Help Homeownership Opportunity Program provides grants to organizations such as Habitat for Humanity to help families construct a new home to live in.